There's nothing like sticking your foot in your mouth on social media. 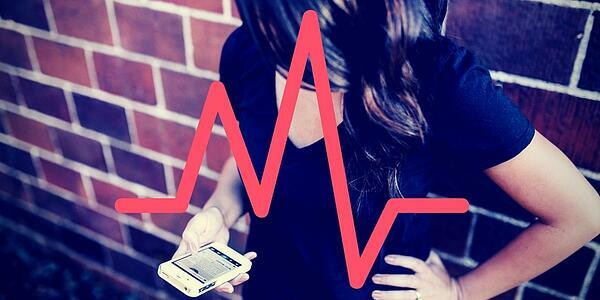 A self-inflicted social media crisis can quickly spiral into a PR nightmare. Fortunately, we can learn from the mistakes of others. Today we examine a few categories of social media fails to avoid, with real life examples. 1. Accidentally sending a personal message from your company's account. Be careful when you post, social media managers! And beware who owns the keys to your company's social media accounts. One recent example of personal messages on a business account comes from the Stornoway Gazette. 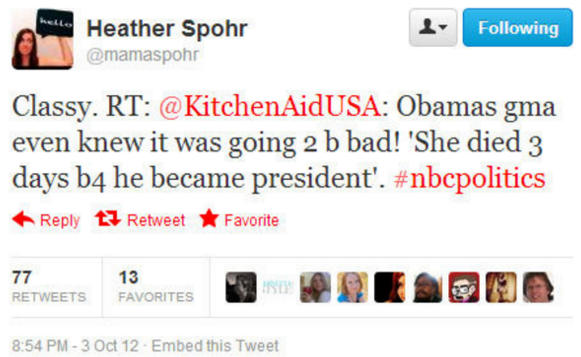 A disgruntled employee posted self-critical messages using the company’s Twitter account. Most readers believed the account had been hacked, but the reality was that an employee deliberately sabotaged the company via Twitter. The messages were visible for about 17 hours. The company claimed they knew the source and were taking action against the employee. Another example of personal messages via business account comes to us from Kitchen Aid. An employee accidentally posted an offensive tweet from the business account instead of their private account. Within the hour, the company had removed the tweet and issued an apology but it had already been seen by many. Keep your personal accounts separate from your corporate accounts when you're managing social media. Don't fall victim to an errant click in Hootsuite that accidentally posts your personal quips to the wrong account. While trying to avoid this at all costs, catching mistakes early, removing, and issuing a sincere apology could save some face. 2. Using a trending topic or hashtag inappropriately or offensively. 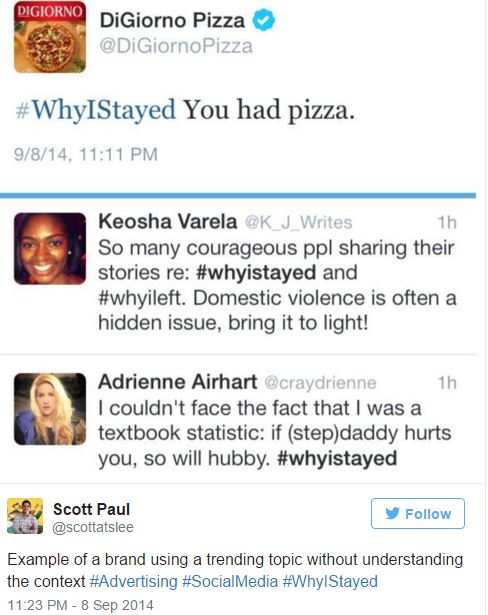 DiGiorno's inappropriate use of #WhyIStayed is an example of using a trending hashtag the wrong way. Always check the meaning of a hashtag before using it. While the tweet may have seemed innocent enough, the hashtag was referring to domestic violence and had no business on a Pizza company's Twitter account. The tweet was immediately deleted, and an apology quickly followed. Always check the meaning of hashtags before using them. 3. Unwittingly opening a Pandora's box. JP Morgan’s Q&A, with the hashtag #AskJPM, opened a lot of unwanted conversation on its Twitter feed. Instead of a friendly Q&A session regarding career advice, the corporation received tweets ranging from favorite whales to biting criticism about the company’s business practices. This was not at all the expected response. The next tweet follows. McDonald’s learned this lesson the hard way too. @Mcdonald’s started using the hashtag #RonaldMcDonald after he had a makeover. The innocent idea was to have the mascot have some fun on Twitter. The problem is that not everyone likes McDonalds, clowns, or fast food. 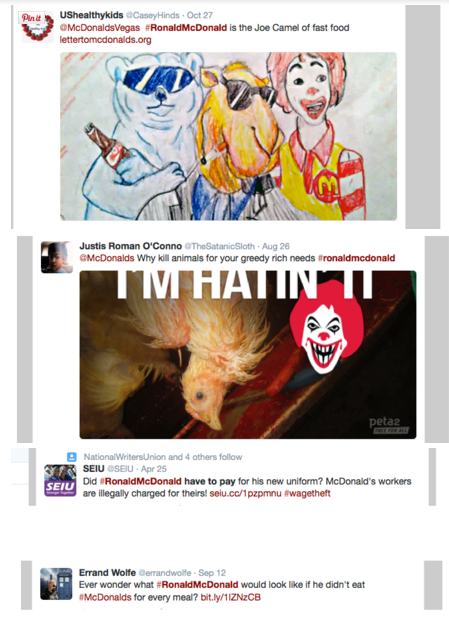 There were a few positive posts, especially regarding the Ronald McDonald charities, but there were many more haters. The hashtag turned out to be a terrible idea. Think about ALL the possible results of starting a new hashtag. You could be starting something you can't or don't want to finish. Consider using a separate Twitter handle to experiment with a particular campaign or mascot. 4. Deleting comments and pretending nothing happened. 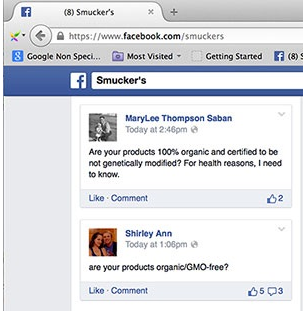 Smuckers has been deleting posts from their Facebook page. The company claims that they welcome posts about their product, but they delete political topics, misleading claims, and spam--understandable. Recently, posts containing questions about whether the products are GMO-free have been deleted too. The company response is that they are following their post guidelines by deleting the posts because they are of a political nature. People can see when you delete comments and it may make your brand look really bad. If you get negative feedback on Facebook, answer the questions honestly and move on. 5. Taunting your competitor may backfire. 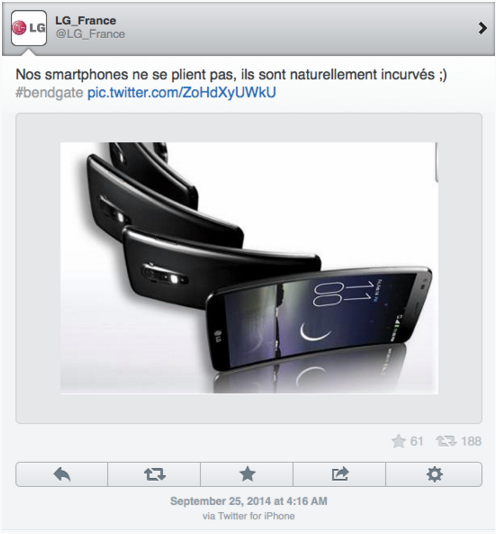 LG recently tried taunting its competitor the iPhone. The problem was that the tweet poking fun at the phone was sent from an iPhone! Translation: "Our smartphones don't bend, they are naturally curved ;)." 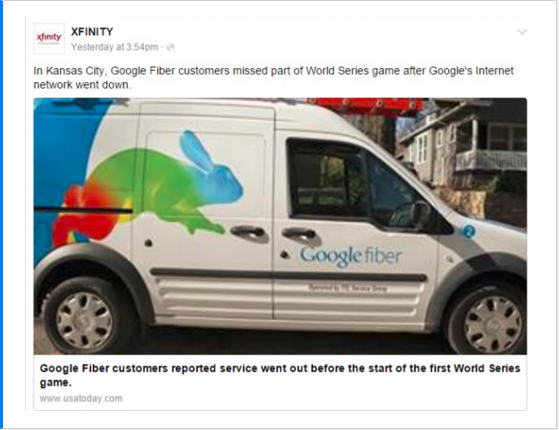 Comcast, one of America’s most hated companies, tried to mock Google Fiber in Kansas City. The backlash from those who saw the post wasn’t pretty. The result was that Comcast/Xfinity removed the post after it backfired. The damage had been and the images of the post have been preserved. Even though the post was deleted, there is still evidence of the mistake. Mocking your competitors can backfire, so think it through. 6. Trying too hard to be funny, clever, timely. It doesn't always go well. Kenneth Cole was trying to promote his shoes with the phrase “boots on the ground," a well-known reference to military troops. The timing was all wrong, and it backfired. Sometimes it does go well. 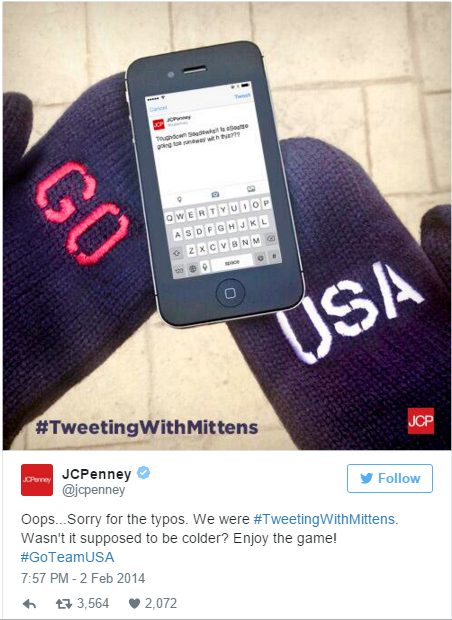 During the Super Bowl in 2014, JCPenney got some media attention for free during the big game. The company posted tweets with misspellings and mistakes during the game. After about an hour, they said they were tweeting with mittens. The company was promoting mittens being sold in support of the Winter Olympics that year. Make sure the timing and tone is right if you're trying to be funny or clever. Have you noticed another category of self-inflicted social media crisis? Add it to the comments below!